It is the perfect fit for bedroom and closet doors that don't ned to lock. 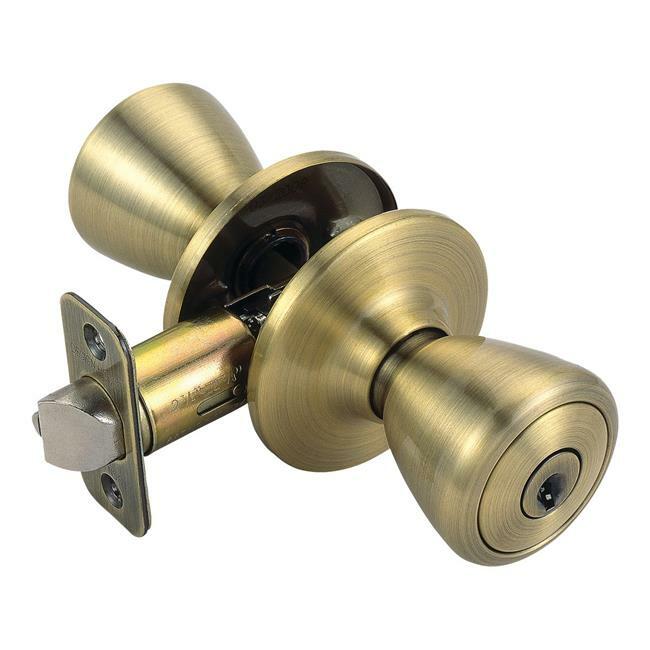 This knob fits the two most common backsets in the U. S. This knob is shaped like a tulip and does not include keyed cylinders. If you are preparing your door for installation, This product is ANSI Grade-3 certified, which means this knob is rated for residential security. Design House in multiple home decor categories including lighting, ceiling fans, hardware and plumbing products. With years of hands-on experience, Design House understands every aspect of the home decor industry, and devotes itself to providing quality products across the home decor spectrum. Design House uses industry leading merchandising solutions and innovative programs. Design House is committed to providing high quality for your home improvement projects.